I want a refund. When this app works, it works great. But I have had problems with losing drafts after I have the clients sign important documents. It says draft saved successfully but it is deleted. This presents a huge problem when they are across the country. The updates were supposed to fix this problem, but as of 12/18/15, still have problems... Charged me without warning 83$! 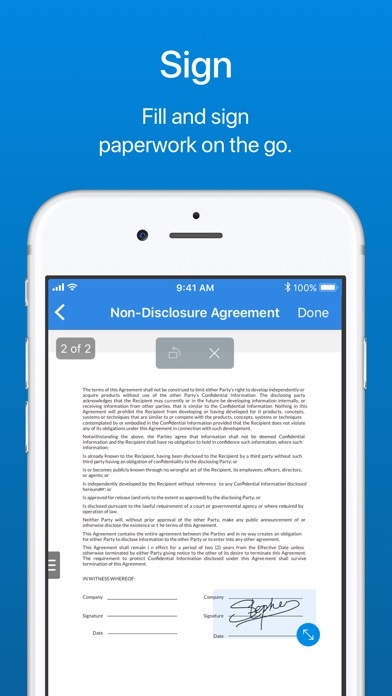 Trying to sign a consent form from a pages file and this app doesn’t see any documents email doesn’t work either. It’s very comfortable and easy I love this app! Non- functional, and a humiliation to use. Follow the instructions to no place. Updated but it keeps telling me I don’t have enough credits. I needed to send something in time sensitive and couldn’t. The app does what it should. 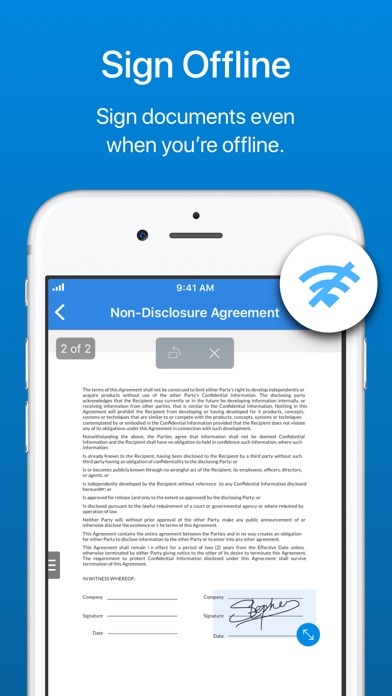 It allows you to sign and send documents. The latest upgrades however, made that more difficult. 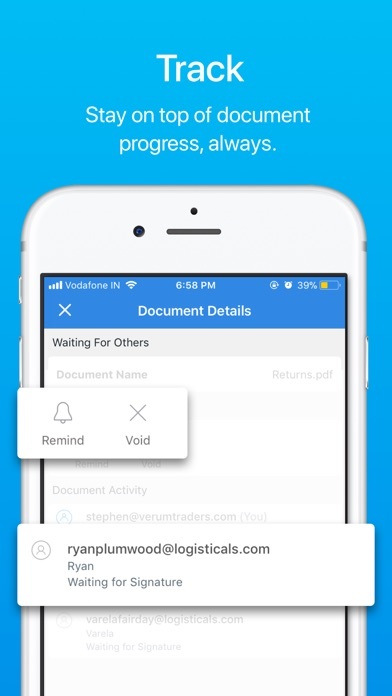 The app allows you to store information that you repeatedly use. Like addresses and phone numbers. 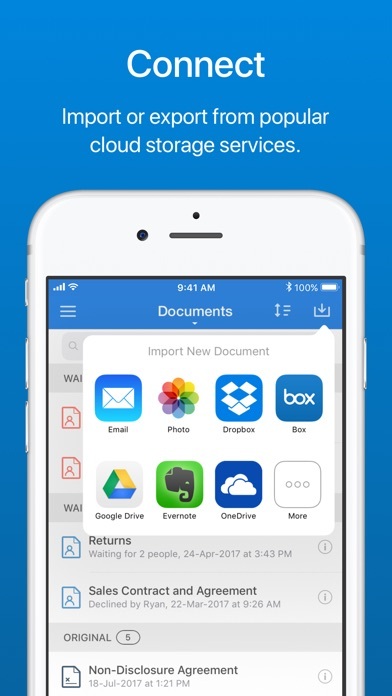 But it doesn’t allow you to delete the one offs. 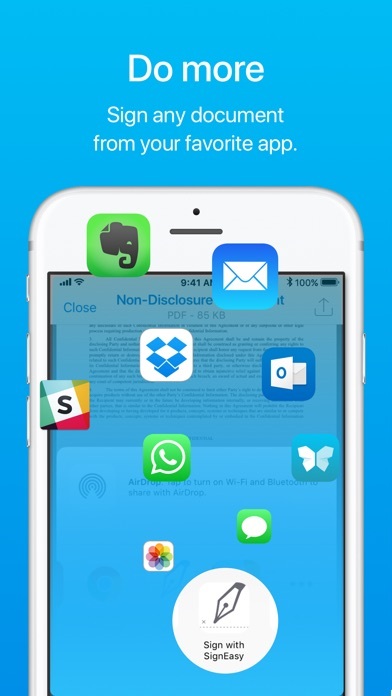 Before update the app accessed my stored email addresses. Now I have to type them in each time. If there is away to access my contacts. I’ve yet to find it. Upon my renewal, I’m considering other options. Four times in a row I’m typing typing typing screen and the app crashes, erasing everything that I typed. Now after every paragraph I save but it seems as though it gives you 20 minutes of typing then it crashes. Hopefully this can get fixed soon so that I don’t have to download another app. 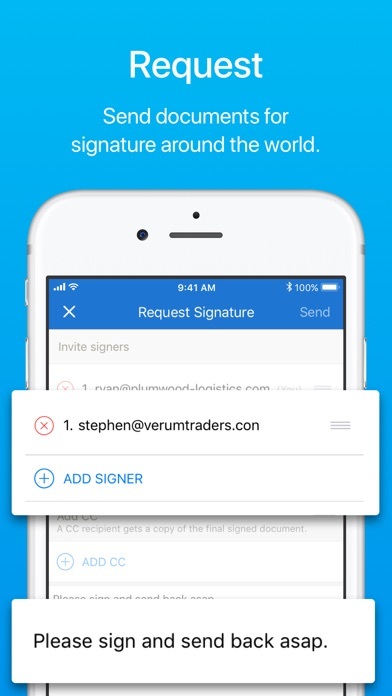 By FAR & AWAY the absolute BEST mobile signing app I've tried and I've tried THEM ALL!!! 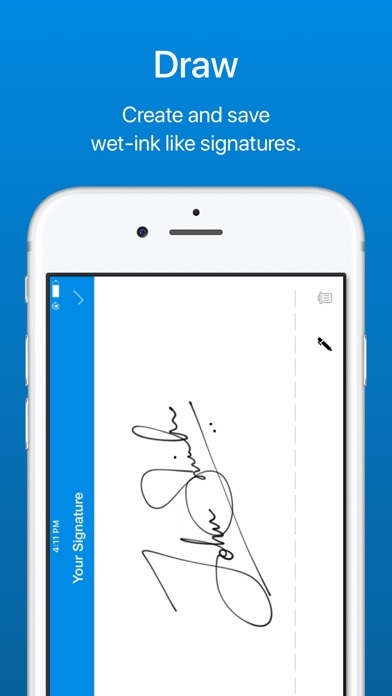 I love how easy Signeasy is to use; it's so very intuitive. And the process to get your docs from point A to point B without making A MILLION stops in between is just priceless!! 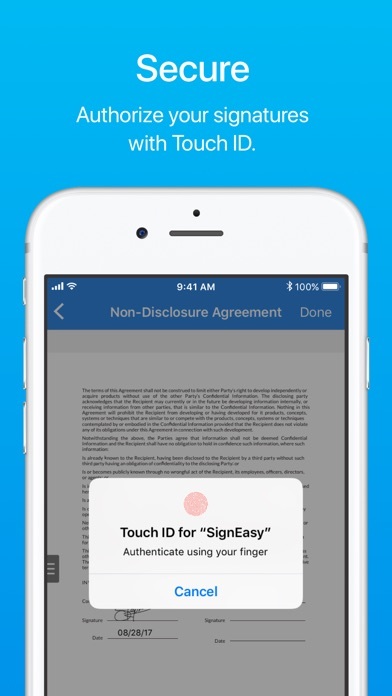 I will most definitely continue using Signeasy for ALL my form filling needs! !